Jacob L. Wright | Amazing Lookalike! On the left is Jacob L. Wright, Associate Professor of Hebrew Bible at Candler School of Theology, Emory University. 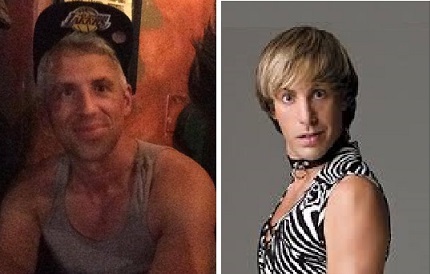 On the right is flamboyant Austrian fashion reporter Brüno, a character played by Sacha Baron Cohen.